MG5 is one of the best MGs in the game, and this is almost entirely thanks to her Skill. Even though she has an overwhelmingly high DPS, MG5 doesn’t have that good of a statline, featuring average Accuracy and below average Damage. The main factor behind her high DPS is her Skill -- the most powerful version of the passive skill found in two other MGs -- which boosts the damage of every fourth shot MG5 fires by 200%, effectively increasing her one volley DPS by 50%. MG5 also provides a great Armor tile buff to SGs, making her even more valuable for longer battles. If building a SGMG Echelon, MG5 definitely is not a unit to miss. MGs with passive Skills are generally the best in their class, as battles involving MGs usually end very quickly and don’t allow for Skill activations. 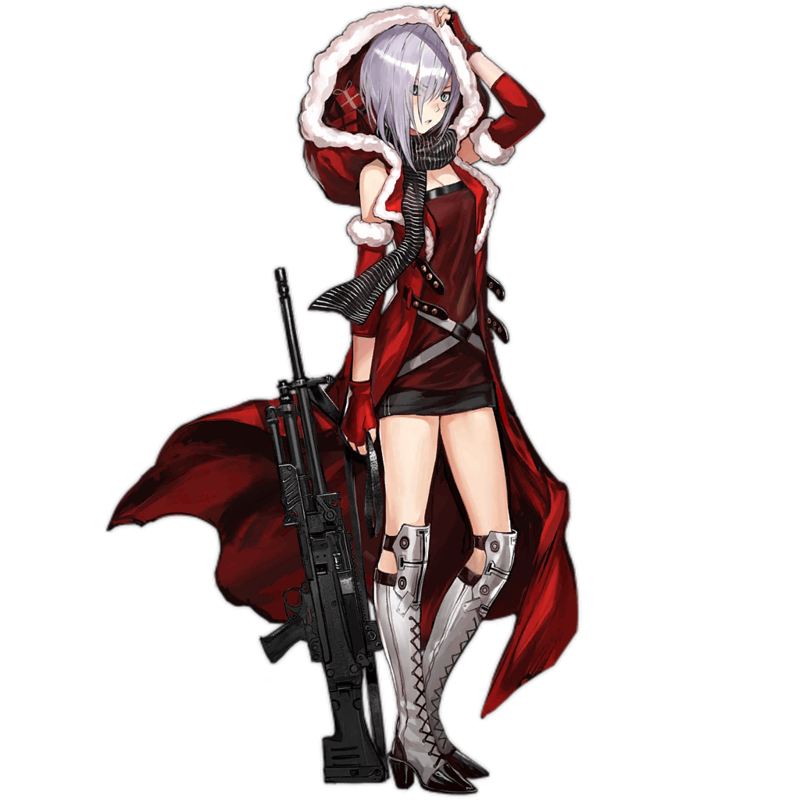 MG5’s Skill is the strongest out of the three MGs that have her Skill, buffing every 4th shot of hers by 200% damage. MG5 provides an Armor buff in her buff tiles, which is the only buffs that SGs benefit a great deal from. MG5 possesses one of the largest magazines out of all MGs at 11 shells per clip. MG5 has a below average Damage stat. While it doesn’t affect her performance most of the time, it makes some difference in very short battles. MG5, with her powerful passive Skill, is one of the best MGs in the game. This is in spite of her underwhelming stats -- yes, her Skill is just that good. Initially, MG5’s stats may seem to be incredibly lacking. Her Accuracy, resting at 27, is average at best, and her Damage, at 85, is below average for an MG. 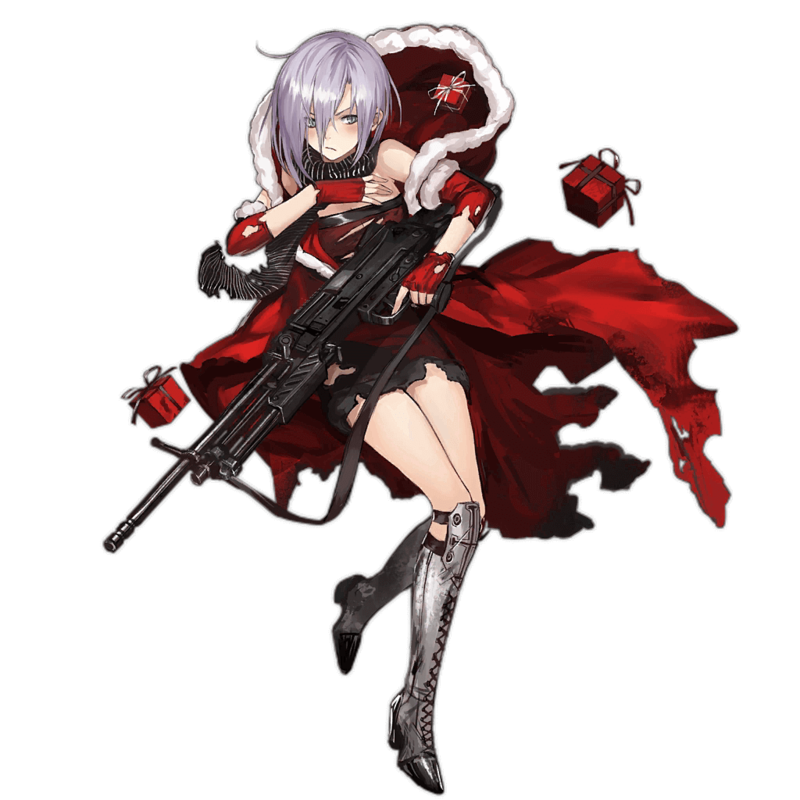 Depending on the tile buffs applied to her, MG5 may need an EOT in order to compensate for her low Damage and the inherently low Accuracy of MGs. Even though MG5 doesn’t have very good stats, her DPS is still one of the highest in the game, and this is thanks to her overwhelmingly powerful Skill. 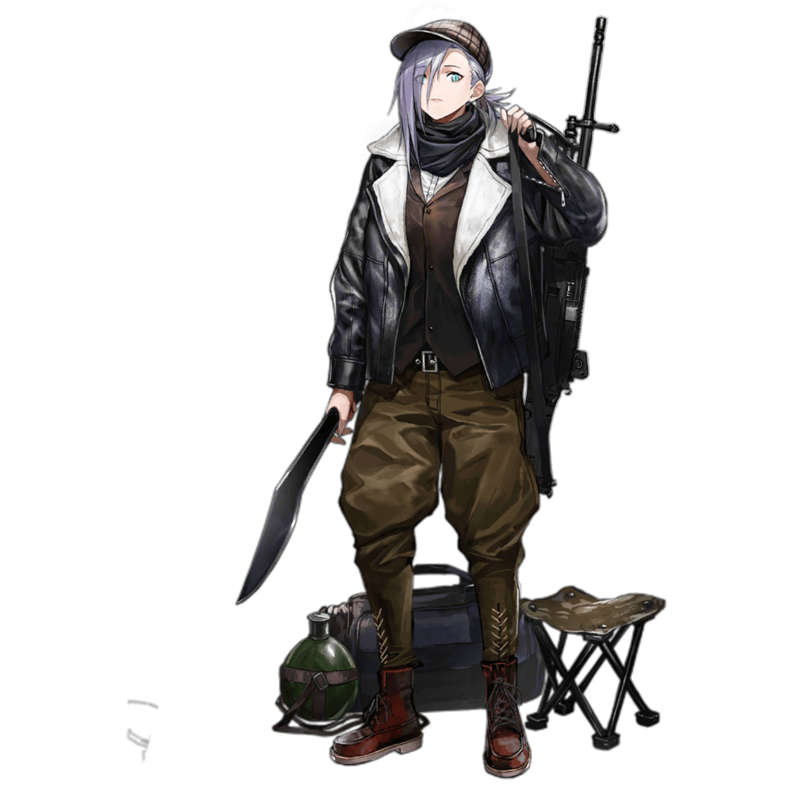 MG5’s Skill is the strongest out of the passive skill shared by her, PK, and M2HB, buffing her every fourth shot by a whole 200%, effectively dealing the damage of 24 shots in 16, equalling a 50% increase in overall damage. Additionally, the counter for her fourth shot doesn’t reset in between volleys, so if MG5 fires 15 shots in her first volley, then her skill will activate on the first shot of the next volley. 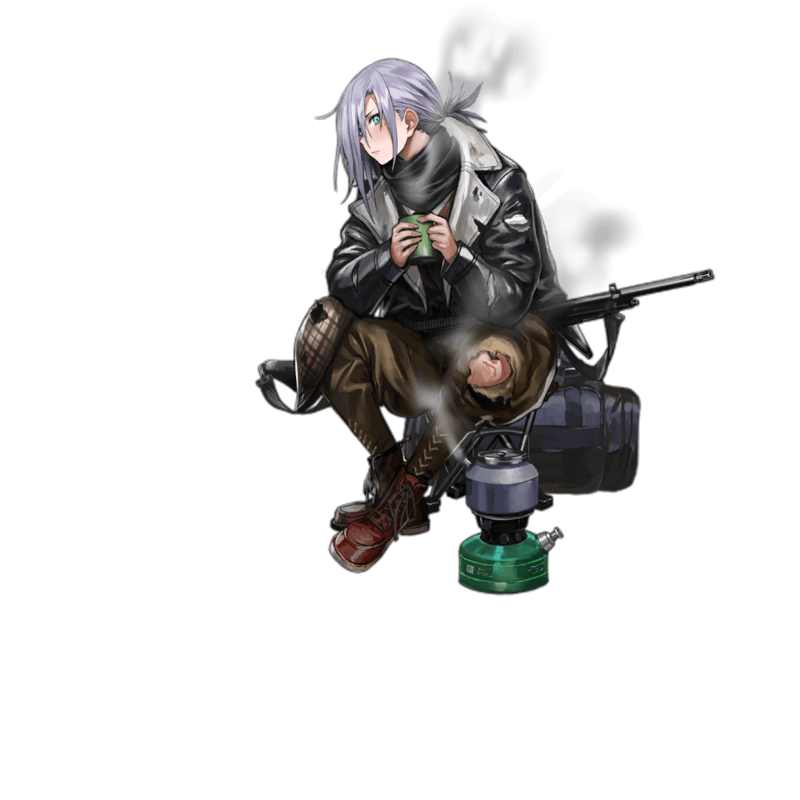 As it is optimal to finish the battle within the first volley, a max 5 star ammo box is more important to use with MG5 than MGs with any other Skill, as this equipment allows MG5 to fire 16 shots in one volley, causing her Skill to proc four times before she must reload. While MG5’s DPS doesn’t fall behind other MGs because of her phenomenal Skill, in shorter battles where her Skill doesn’t get to activate enough, her low Damage can cause her to be outpaced by both PK and M2HB. A prime example of this is in Data Simulations -- as MG5 doesn’t get to use her Skill often in this context, she falls behind M2HB and PK in DPS. As there aren’t any better alternatives for now, however, this is only a very minor problem. Another great thing about MG5 is her tile buff. MG5 provides both Armor and Damage buffs to SGs -- and while Damage isn’t very important for SGs, the Armor buff helps them take less damage, which adds up in the long run. In addition, this quality allows MG5 to be more valuable for longer battles, as not only does MG5’s DPS remain one of the highest throughout every volley due to her skill being passive, she also provides an Armor buff that helps SGs sustain their health throughout longer battles. In summary, MG5 is an MG who able to be used in any situation that requires an SGMG Echelon. Among current MGs, she’s one of the most effective choices, and is a great option among her comparables. Like all MGs, MG5 appreciates Damage and Accuracy buffs the most, moreso Damage to compensate for her low base Damage. Some examples are KSG and M37. Likewise, MG5 appreciates Damage and Accuracy buffs from HGs. SAA, Mk23, and Grizzly are all good choices to use with her..
MG5’s status as a standalone damage dealer means she does not particularly care which MGs she’s paired with. PKP, PK, and M2HB are all good teammates for her. This is the ideal formation for MG5 to be used in. MG5 can be placed either at the top or the bottom of the back column -- her position does not particularly matter as the SG gets MG5’s buffs either way, and vice versa. A third MG can be used in the backline, but using another HG to buff MG5 even further is not a bad idea either. Using MG5 in a 2SG echelon is even less optimal for her than for other MGs. This is because if MG5 is placed in a formation that allows for the SGs to receive her tile buffs, a 3MG formation needs to be used, while using a HG requires for MG5 to not buff either SG. An option is to put the HG in the middle row instead, allowing for a compromise between making use of MG5’s buffs and using a HG. The Heckler & Koch MG5 is a general-purpose machine gun manufactured by Heckler & Koch in order to replace the Rheinmetall MG3 for use in the military. As of June 2013, it was announced that Germany planned to buy at least 7,114 MG5s for the Bundeswehr from 2014 to 2017.